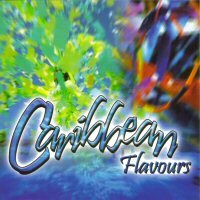 Caribbean Flavours is a compilation different from the usual assemblage of ‘love song’ tracks so common in the marketplace. These selections convey sincere affection in a blend of male and female voices, synthesized strings and saxophone and steelpan solos. The latter two are features in “Unchained Melody” reinforcing its status as a standard. Luther Vandross’ “Dance with My Father” is the tearfully touching tribute to fathers. Bravo! – I almost said Kaiso! Kaiso! But the chance comes with Sparrow’s “Mae Mae” in a Castilian rhythm. Yes. The distinction that is Caribbean Flavours is reinforced by the thoughtfulness in preparing this suite of thirteen tracks. Kudos to the executive producer – a cultural enabler - and the production team. May others follow you in not only covering foreign standards but indigenous classics, too. You’re too experienced….